I remember there was a lot of excitement about using the iPod nano as a watch when the current form factor was first released, at the time I wasn't sure what would come of it so from my perspective nano watchbands were more of a curiosity. Then the TikTok and Lunatik watchbands happened. This creation by MINIMAL (design studio by Scott Wilson) just took off. As a result it became (at the time) the highest funded project on Kickstarter. On the latest update of the nano Apple added more watch faces, so I guess using a nano as a watch is a popular thing. With that in mind we took the plunge and started ranging Lunatik products. 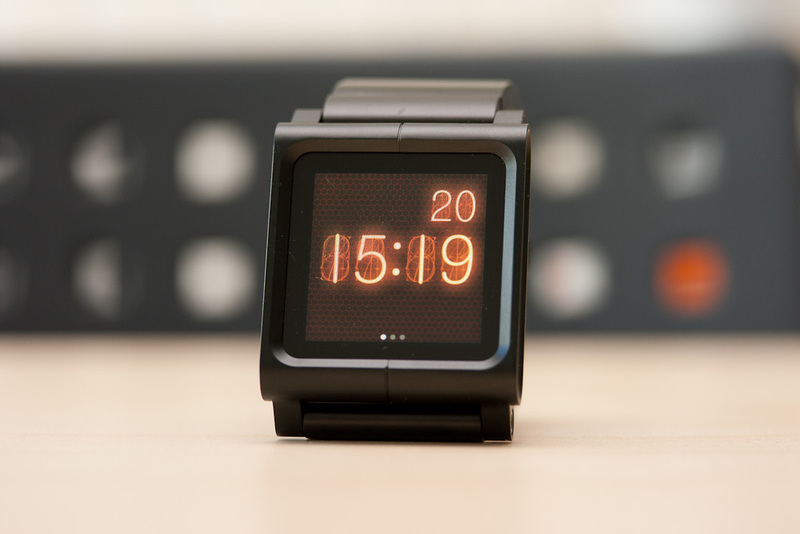 In this post we will take look at the flagship of the Lunatik watch bands, the Lynk Blackout. The Lynk features aircraft grade aluminium on both the frame and the strap, the links on the band are mounted on a silicone backing (this gives a bit of extra comfort to the wearer). The frame that holds the nano has two halves that requires hardware for installation and removal (these are included). Extra links and screws are included just in case you need them and from my experience you will (we lost one on our desk about a month ago and haven't seen it since). With the Lynk you get access to all ports and buttons on the nano so there are no issues with connectivity. Overall I do like the Lynk, which in my opinion it is one of the most stylish watchbands on the market. Combine this with the increased range of watchfaces that come with the current nano (my favourite face is the vacuum tube style) and they are a whole lot of fun. And I know, the Lynk is almost the cost of a nano but you can't argue with the quality you are getting. There is also a version of the Lunatik with a silicone watchband that is more affordable (we will cover this product at a later date). Also if you love the look of the Lynk but don't want to use it with a nano Lunatik do offer an analogue watch insert called the Antik (which we don't sell currently). The Lunatik Lynk is available in silver and blackout. For more information on the entire Lunatik range click here.